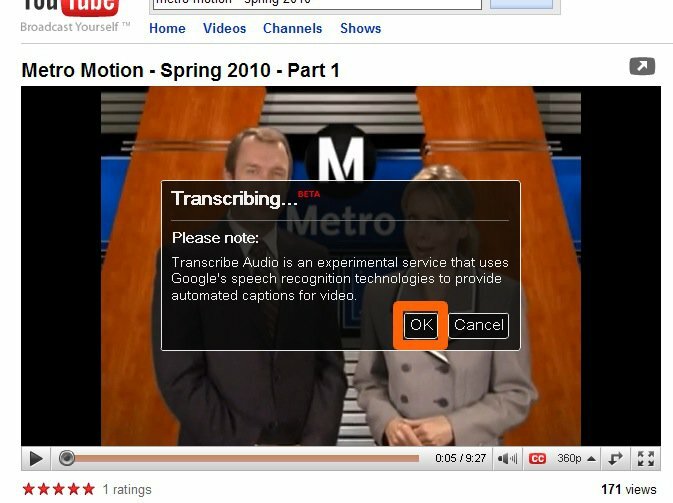 Produced in partnership with CityTV of Santa Monica, it runs quarterly on cable stations throughout Los Angeles County. Check local listings for dates and times in your area. In this edition of Metro Motion: Tunnel boring machines, ABCs of P3s and more. It’s been a great year for L.A. County’s transportation revolution, as we opened two major rail line projects and continued building three more. But there were dozens of other, less celebrated ventures that added together are creating transit options for now and the future. In this edition of Metro Motion we talk to Metro riders who told us why they take Metro and just what it means to their lives. In this edition we party with the locals at the opening of the Metro Gold Line extension to Azusa. We celebrate the great things to do along the grand new Gold and Expo Line extensions, including visits to the L.A. County Arboretum and Botanic Garden and world-famous Santa Anita Park racetrack. We learn why one of L.A.’s early pioneers – Elias “Lucky” Baldwin – was lucky, and how he changed the face of Los Angeles. We follow our rolling bike reporter from the San Gabriel Valley to Santa Monica (Phew?) and find out why bike and train and an awesome duo. Turns out Metro’s new Division 13 maintenance facility – opening soon -- is sustainability personified. What’s so green about Division 13? (Plenty!) As testing gears up on the Gold and Expo lines, onlookers are asking: Why does it take so long? (The answer: Safety!) We live in a culture with a need for speed. Find out how Metro’s new Silver Line Express is fast becoming, well, faster, as it goes further. Finally, take a bike ride on the wild side to Rose Parade festivities. Biking and rail can be fast friends for this annual event. Gazing into the future – the near future – we see two more rail lines opening in Los Angeles County. We see Bike Hubs opening to help patrons reach Metro Rail and Bus without a car. We see streets made for walking and riding, courtesy of the First/Last Mile movement. And we are transported, via Metro Local Bus 487 for a dumpling crawl that is truly tasty. All this and more in Metro Motion. As Los Angeles County celebrates 25 years and 87 miles of rail, we take a look at the history of rail. When did it begin? Why did the first lines disappear? Who rides it and why? And what lies ahead now that L.A. County has committed to creating modern mobility? Ride the Sunset bus from downtown L.A. to the ocean and travel through filmmaking history. Explore why the car as L.A. icon is going the way of bell bottom pants. Board the Metro Green Line to Little India for samosas and saffron. Bike (vicariously, at least) a challenging spring sprint up and down the hills of Palos Verdes. And meet the creative folks behind Zocalo’s groundbreaking year-long web series on L.A. commuters. Go behind the scenes with L.A. radio and TV traffic reporters, eat way too much at the modernized Grand Central Market, take a spin through beautiful Griffith Park on a bike and discover how the health of the important federal Highway Trust Fund can significantly impact our lives (plus what may be waiting in the wings to replace it). See all these stories and more in Metro Motion. Los Angeles Mayor and new Metro Board Chair Eric Garcetti shares his ideas for creating regional mobility. A peek at the great food and entertainment festival Taste of Soul. A visit to historic/artistic Leimert Park. Plus a look at what creative Angelinos do on their way to work … if they don’t need to drive. These stories and more in Metro Motion. Millennials talk about why climate change has inspired them to live without cars. A great new farmers market at the Blue Line Compton Station stresses health and cooking education. Construction on the Crenshaw/LAX project begins will a bit of dust and a lot of patience. The Expo Line leads to a bike path to Marina del Rey for free concerts. Finally, we look back at Carmageddon I and II, Rampjam and Jamzilla, at the same time we look forward to smoother sailing through the I-405 Sepulveda Pass. Union Station is celebrating its 75th anniversary. From the beginning it has been Hollywood’s train station and like any great Hollywood star it has appeared in hundreds of films, TV shows and commercials. Find out which ones and visit beautiful Harvey House restaurant, a gorgeous private rail car and early settlers from Chinatown (which was once where Union Station now stands) and meet the station planners of the future: fourth graders from Utah Street Elementary. Find out what Ice Age mammoths and the Purple Line subway have in common. Learn where the traffic hot spots are and what Metro is doing to make them better. Push pedals through downtown Los Angeles to discover some of the best and safest bike routes and how they connect with beautiful Union Station, L.A's transit hub. And ride the Blue Line to fascinating and delicious discounts in Long Beach and L.A.
Now in high def, Metro Motion is even sharper than before. In this episode, hunt for world-class Korean cuisine … via Metro, of course. Meet a squad of seriously cool seniors who are seriously committed to learning Metro so they can live a more mobile life. Find out where BRT is breaking ground and why Metro is a world leader in this form of transit innovation. Hear new Metro Board Chair Diane DuBois explain why our highways must be part of a successful 21st Century mobility plan. And take to two wheels to admire the flora, fauna and flavors of the Arroyo Seco bike way. The Gold Line can take you there. Walk the walk through Metro's new gate-latching system and find out how easy it is. While you're there, check out the innovative hands-free ADA gate. Take a bike ride on the South Bay Beach Trail -- partially funded by Metro. Explore the abundant benefits of Destination Discounts. And find out why freeways have never been free. Take a ride on the Fairfax bus from Hollywood to Africa. Sample the beautiful foods of Cambodia, via the Blue Line to Long Beach. Learn why Metro has the pedal to the metal fixing our traffic snarls. Take a look at the upcoming L.A. River Bike Ride and learn why a bus is best for reaching the starting line. And find out how MOCA is saving thousands each year by using a special Metro program. Take a ride in the brand new 110 Harbor Freeway ExpressLanes -- passing slower cars along the way. Tour of the beautiful new El Monte Station -- a green gem loaded with eco-friendly features. Just in time for movie award season, visit "Old" Hollywood. And gaze into the future of L.A. transit and development. There's plenty to do and see with Metro's expanding service. Visit Cowboy Chatsworth via the new Orange Line Extension, and discover the rich Wild West history … maybe from the top of a horse. Hop on the Gold Line at night and take advantage of Metro's new late-night weekend service to explore Pasadena during the wee hours. Or talk with Metro's accident-free bus operators and find out how best to navigate L.A.'s mean streets without incident. It's all on the new Metro Motion. The 2012 transit celebration continues with the opening of the Metro Orange Line Extension to Chatsworth and the Culver City and Farmdale stations on the Expo Line. To tempt you, we have a delicious tour of Culver City and a look into Culver City's rich entertainment history. (Think "Gone With the Wind," "Wizard of Oz" and, yes, TV's "Jeopardy!") You can also join us -- even without wheels -- on a sweet bike ride along the Orange Line bikeway. It's all there in the newest edition of Metro Motion. The brand new 8-mile Expo Line from downtown L.A. to Culver City opens with free rides and community celebrations. Check out our to-do list of entertainments along the line. Find out why Metro's new school field trip program gets an A from kids and teachers and take a look at sketches made aboard Metro buses and trains by a talented L.A. artist and green activist. Find out why 20 somethings are abandoning cars in favor of mass transit; meet artist Sonia Romero, whose installation at the Westlake/MacArthur Park Station has been named one of the best public art projects in the United States; visit beautiful Exposition Park, soon to be served by the Metro Expo Line, and speak with Caltrans District 7 Director Mike Miles who has plenty to say on the unified focus of highways and transit. Go behind the scenes and learn how the 405 Carmageddon closure became Carma-Heaven. Sit down with the Metro Board's new chair, L.A. Mayor Antonio Villaraigosa, as he reveals exciting plans for the coming year. Take a walk into the history of beautiful Union Station and find out how it is being transformed into a gleaming 21st Century transit hub. 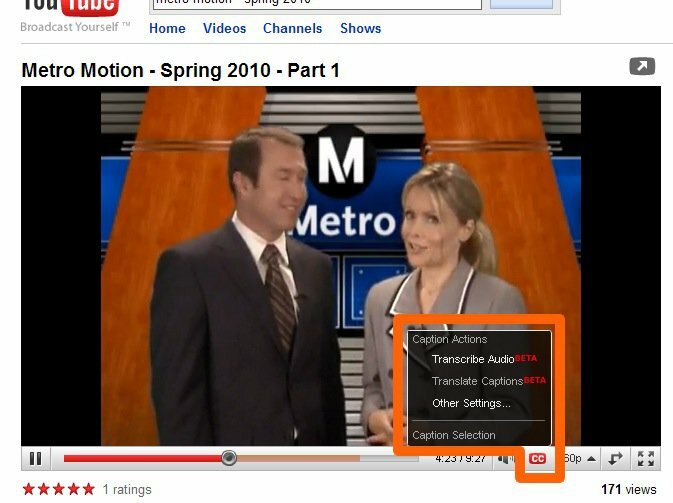 It's all on Metro Motion for Fall, 2011. In the Summer 2011 edition of Metro Motion, find out why waiting for the bus can produce stress; how to get to baseball, the beach, concerts and culture; why Metro is spending $1.4 billion on highway projects; what Metro has done to celebrate the growing influence of Latinos in L.A. and who sees job creation as a major Metro accomplishment. In the spring 2011 edition of Metro Motion, Metro says bye-bye to the last diesel bus in its directly operated fleet; Metrolink CEO John Fenton takes us on a tour of the new collapsible train safety car that just may save lives; we ride with an "extreme" bicyclist who thinks nothing of a 10-mile cruise to Metro and we explore the formerly funky NoHo neighborhood of North Hollywood and see it all grown up and sophisticated and conveniently reached by Metro. In the winter 2010-11 edition of Metro Motion we tag along on a trip down the Metro Red Line with actor and regular Metro rider Vincent Kartheiser of TV's "Mad Men." Kartheiser abandoned his car for public transit to help make Los Angeles -- and the world -- a better place. He says the switch has improved his life, as well as his commute. In the Fall 2010 edition, Metro Motion examines the difference 10 years has made for development along the Red Line in Hollywood, suggesting what awaits L.A. County should Congress pass the 30/10 plan; another piece visits Metro's Central Maintenance Shops -- the so-called E.R. for buses; another takes in cool, creative Los Feliz for new food and old Hollywood history and finally, L.A. County Supervisor and Metro Board Chair Don Knabe tells us how to explore his 4th district the green way, via Metro. 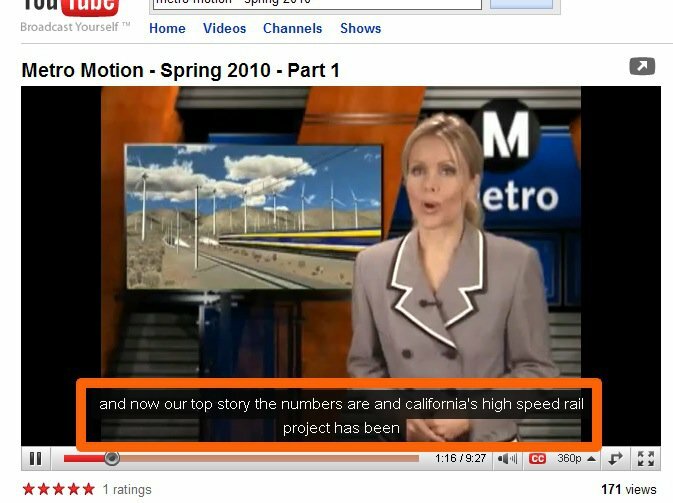 In the Summer 2010 edition, Metro Motion reveals: Metro Rail celebrates a big one (20 years!) through old footage and new; the first Measure R rail project kicks off early; a touching tribute to early settlers; an interview with the dad of the Dodger Stadium Express, L.A. County Supervisor Michael Antonovich and pretty pics of L.A. via the Metro Gold, Blue and Silver Lines. In the Spring 2010 edition, Metro Motion reveals: How smart roads help us tame traffic; transit magicians who keep the trains and buses moving; bargain dining along the Metro Gold Line; beautiful old photos that are windows into L.A. history, plus lunching and talking with L.A. County Supervisor Zev Yaroslavsky at a famed (and delicious) deli near the Metro Red Line. Six miles of parties on the Eastside as the new Gold Line extension opens to the public; a cultural look at the Eastside; a tour of the Little Tokyo/Arts District and a talk with Metro Board and Lakewood City Council member Diane DuBois on intelligent transportation.